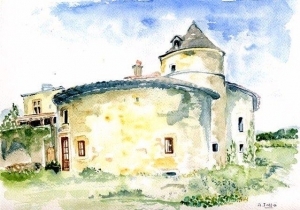 Château de Vinzelles, High place of Burgundy. Family ownership. The vine grows up here since the Gallo-Roman time. This great wine of Burgundy, Pouilly-Vinzelles Château de Vinzelles finds here all his quintessence in soils (clays and limestones especially). With a qualitative approach, our estate wishes the permanent improvement of its wines, by its own vinification methods and the selective sorting of grapes. Come to taste our vintages and gold colour, intense nose, ample and well-balance wines. Wines to drink from now on or to keep some years. Welcome all year at the normal hours of opening. 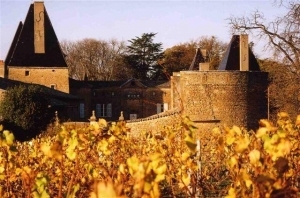 The Château de Vinzelles adheres to the”Vignerons Indépendants de France”. Access by the exits 29 A6, N6, N79 Vinzelles.